#dyslexia | Why Can't My Daughter Read? Last month I published two pieces by literacy experts who raised serious objections to key parts of a report released over the summer on teacher preparation by a group called the National Council on Teacher Quality. The first one is here, the second here. ( I had earlier published posts on the report, here and here, which criticized its methodology in determining which colleges of education were worthwhile and which aren’t.) The literacy experts (some of whom have served as president of the National Council of Teachers of English and the International Reading Association) were concerned, among other things, that the council was promoting an old and narrow idea that direct instruction of phonics is the best way to teach reading and that other methods have little or no value. Not surprisingly, a number of scholars with different views has taken issue with the group’s objections and signed a letter about their position. This letter was written and circulated among like-minded scholars by Steven Dykstra, an adolescent psychologist and a founding member of the Wisconsin Reading Coalition. For the sake of healthy debate on an important issue, I am publishing their letter. This is an important issue, and I’ll continue to write and publish pieces on it. Like Washington Post blogger Valerie Strauss, we also regret that the Reading Wars continue to plague education. However, this cannot be blamed on organizations like the National Council on Teacher Quality (NCTQ), which recently published its findings on how well our colleges and universities prepare future teachers to teach reading to young students. Rather, the Reading Wars persist because of the continued dissemination of false information about the process of becoming an effective reader, with the latest example being Strauss’s own blog on August 13. Strauss’s pronouncements are particularly damaging, appearing as they do under the banner of the Washington Post, arguably the most trusted source of unbiased information for the nation’s decision makers. As such, they require a decisive response. Taking aim at the NCTQ’s evaluation of teacher preparation programs, Strauss uses her forum to champion and promote the views of a limited sub-group of a society that calls itself the Reading Hall of Fame. Although an independent organization, many members of the Reading Hall of Fame, including eight signers of the critique in question, are Past Presidents of the International Reading Association. Some of their criticisms aren’t much more than political innuendo, suggesting that the NCTQ and its allies are a front for conservatives determined to ruin public education and usurp control of teacher training. 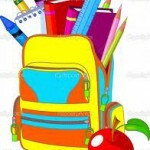 Many staffers at the NCTQ as well as their supporters are true-blue liberals, and efforts to paint this as a clash of political philosophies distract from the real issue, which is the need to improve the effectiveness of teacher education in the United States. Headliner Kenneth Goodman and the other Hall of Fame signers also complain that the NCTQ approach is incomplete, neglecting many important aspects of reading instruction and teacher training. We must remember that NCTQ neither intended nor claimed to evaluate all aspects of how teachers are prepared to teach reading. The NCTQ review focused on the five core components of reading identified by the National Academy of Sciences in 1998: phonemic awareness, phonics, vocabulary, fluency and comprehension. Weakness in any of these five components impedes or obstructs reading growth and, as attested by the 2000 meta-analysis of the National Reading Panel, growth in each of the components is significantly assisted through appropriate classroom instruction. The NCTQ reviewed programs to see if each of these critical components were covered for at least two lectures, and evaluated by at least one assignment. The NCTQ standard was a bare minimum level of performance, requiring programs to meet a very low standard for at least four of the five topics. In fact, learning to teach reading requires a great deal more than two lectures on each of these five topics. It would be possible to score well on the review but still do a very poor job preparing teachers to teach reading. What would be impossible is to neglect these five topics and still do a good job preparing teachers to teach reading. This is true no matter how much time is devoted to addressing speaking and listening, writing, content-area texts, diversity, the formation of instructional groups, motivation, and metacognition. No one contests the relevance of these more general topics, which Hall of Fame signer R. David Pearson bemoaned as missing in another critique of the NCTQ review that he co-authored for the International Reading Association. However, NCTQ’s review focused on the five essential, scientifically-proven reading fundamentals that incontrovertibly underlie the ability to learn to read accurately, fluently, and with comprehension, an ability that eludes far too many school children today. Goodman and the others accuse the NCTQ of keeping the Reading Wars alive, and in one respect they are right. NCTQ uncomfortably shined a light on those aspects of reading that these critics prefer to minimize. There has never been a disagreement over motivation, diversity, or the importance of reflecting on and responding to high quality reading material. There has, however, been an ongoing battle over the way children become accurate and fluent readers. The Reading Wars are an ongoing struggle between those who understand that children must be taught to use letters and sounds to decode and spell words, and those who think children should mostly or entirely eschew that method (generally known as phonics) in favor of guessing. The first side is guided by science, the alphabetic nature of our written language, and a common sense recognition that understanding the meaning of text is predicated on accurately identifying words. The second side believes that children should be taught to construct meaning from text based on their own meaning-based intuitions about what the words might be. That is, rather than reading the words of a text to expand their knowledge and understanding (as well as their reading prowess), this second side encourages children to use their own existing knowledge and understanding to guess at words. Kenneth Goodman himself is the father of the guessing approach. Despite ample science to the contrary, this philosophy gained wide popularity following the publication of his paper, “Reading: A Psycholinguistic Guessing Game,” in 1967. Since then, too many children have been taught to read by a collection of methods that includes a heavy reliance on guessing at words, while lending little attention to the print on the page. Science has incontrovertibly resolved the dispute in favor of the alphabetic approach, but the war cannot end as long as those who reject the lessons of science still dominate in our colleges and classrooms. “Accuracy, correctly naming or identifying each word or word part in a graphic sequence, is not necessary for effective reading since the reader can get the meaning without accurate word identification. Furthermore, readers who strive for accuracy are likely to be inefficient.” (p.826) Goodman, K. S. (1974, Sept). Effective teachers of reading know language and children. Elementary English, 51, 823-828. “Early in our miscue research, we concluded…that a story is easier to read than a page, a page easier to read than a paragraph, a paragraph easier than a sentence, a sentence easier than a word, and a word easier than a letter. Our research continues to support this conclusion and we believe it to be true…” Goodman, K. & Goodman, Y. (1981). Twenty questions about teaching language. Educational Leadership, 38, 437-442. “Matching letters with sounds is a flat-earth view of the world, one that rejects modern science about reading.” (p. 371) Goodman, K. S. (1986). What’s whole in whole language. Richmond Hill, Ontario: Scholastic. While this approach has been tempered over time, it still dominates the way most teachers are trained to teach reading, and thus the way our school children are instructed. We can trace a clear ideological path leading from Goodman to Reading Recovery to balanced literacy and many present-day iterations of guided reading. Lip service to phonics now allows a child to use the first letter of the word and guess, followed by the first and last letter and more guessing. But this faction adheres to the admonishment of Marie Clay, the influential developer of Reading Recovery, to use phonics only after all other strategies, or “cues,” have been tried. “All readers, from five year old beginners on their first books to the effective adult reader need to use: the meaning, the sentence structure, order cues, size cues, special features, special knowledge, first and last letter knowledge before they resort to left to right sounding out of chunks or letter clusters, or in the last resort, single letters.” (p. 9) Clay (1998). An observation survey of early literacy achievement. Auckland, Heinemann.. The goal is to keep phonetic decoding of words to a minimum, despite a wealth of research that shows it is a cardinal feature of all skilled reading. Skilled reading and poor phonetic decoding are mutually exclusive. The guessing advocates ignore this richly validated fact because it is inconsistent with their own beliefs. The damage comes when, as the NCTQ found, so many university teacher programs confuse the philosophy with the science. Fresh out of high school, our future teachers are hugely dependent on their college education to prepare them to teach children to read. Teachers can hardly be expected to teach what they haven’t been taught, much less that which they have been trained to reject. Attacks on the NCTQ review are merely ways for defenders of guessing to deflect attention from years of misguided and, ultimately, damaging instruction. There is nothing enlightened about denying serious research, and there is nothing liberal about denigrating or withholding the tools and knowledge on which teachers’ successful careers and children’s educational horizons depend. Strauss, Goodman, and others need to give up their smokescreen of concern over the politics and particulars of the NCTQ review, and account for the relentless adherence to the guessing strategies that really are perpetuating the Reading Wars. Future teachers and all stakeholders who want our children to have the keys to skilled reading should demand this accounting. 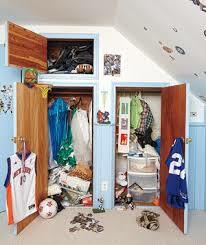 Make sure your child’s room is organized. Hopefully, you’ve been working on this project during the summer. 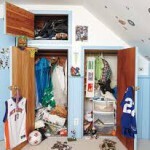 But, if not…together with your son or daughter, go through desk drawers, closets, and cabinets. 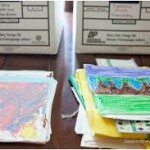 Sort through all of the previous year’s school papers and projects. 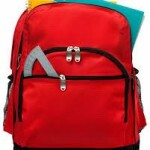 Determine what can be dumped or recycled, and what is to be saved. Take advantage of today’s technology, by taking digital pictures for an electronic portfolio of your child’s save-worthy work, art, and projects from last school year. 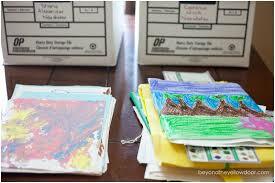 Then, store in labeled boxes or files just the most valuable items you want to keep. Whether they look forward to going back to school or not, shopping for new school clothes and supplies is exciting for almost every child. 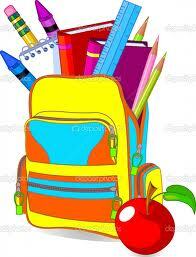 Many schools provide a list of required or recommended school supplies for parents to purchase, or teachers may send home such a list. 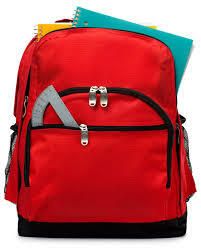 When buying the basics and required items, motivate your child by buying when possible his or her choice of backpack, lunchbox, and other school supplies (as long as they are user-friendly for your child’s needs). 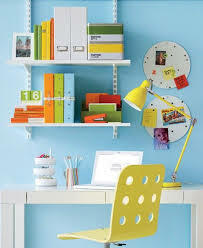 Now is the perfect time to explore different homework area options and create with your child a homework station/area that will be appealing to your son or daughter. 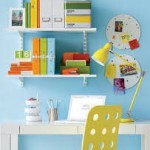 There are so many creative ideas for setting up homework stations within your child’s room, another area of the house, and portable ones that can be found on Pinterest board – Home Organization-Homework Areas.